We have several loose-leaf teas at the restaurant where I work. 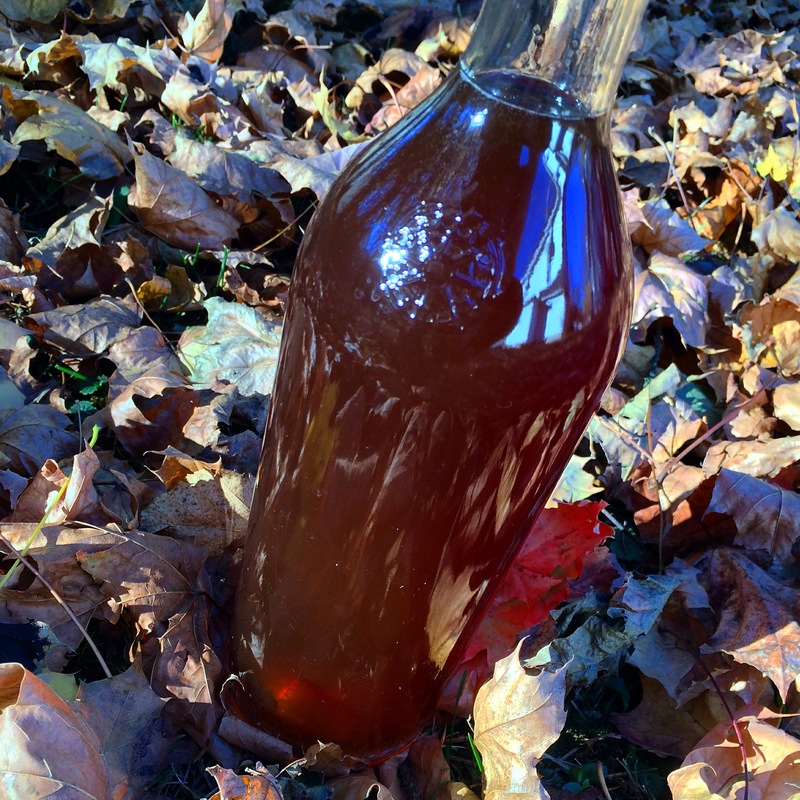 — A nice rundown on the basics of cold brew tea. — Info about which teas to use, how much tea to use, steeping times and more. — A taste-test of cold vs hot-brewed teas. — This one’s a quick read about cold brew tea. 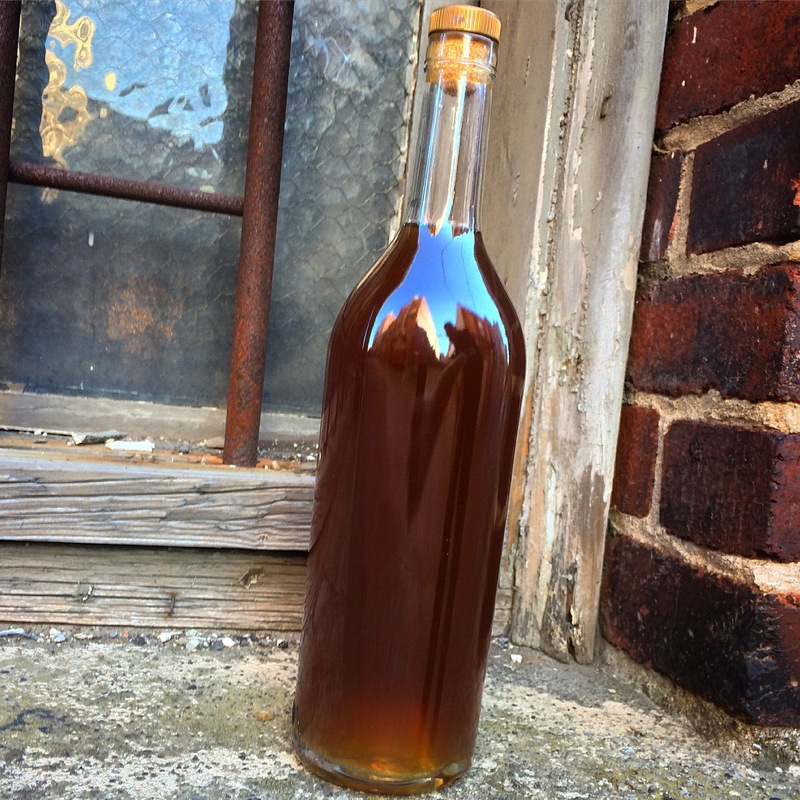 — A “how to” about cold brew coffee. 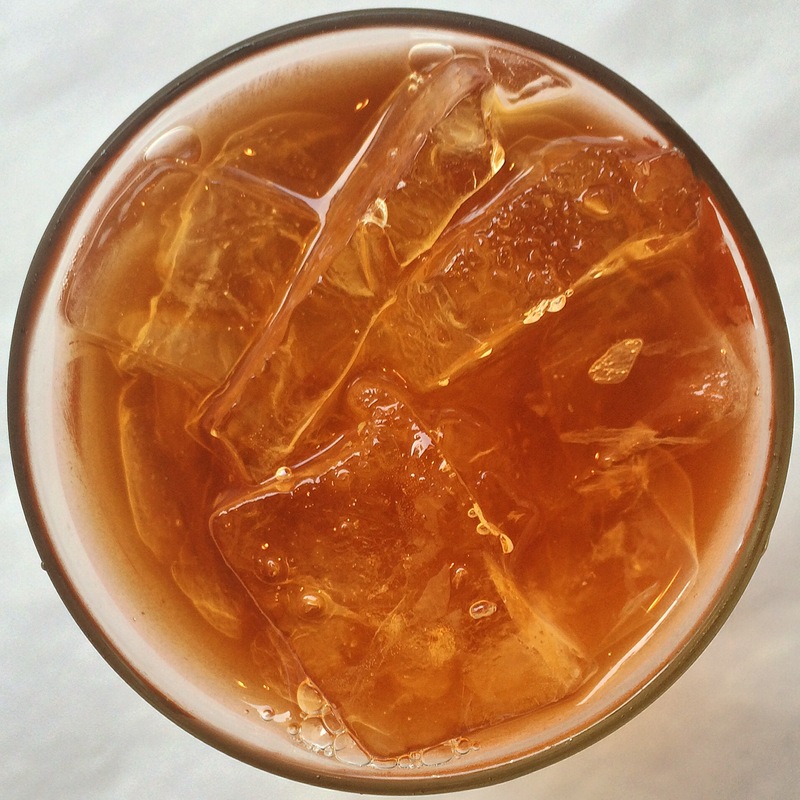 — And lastly, the “Definitive Guide To Cold Brew Tea.” It’s a pdf document. The tea in the picture above is a cold-brew peach tea I made. The only things I added to it were lemon juice and simple syrup, though bourbon would’ve made a nice addition to it as well. 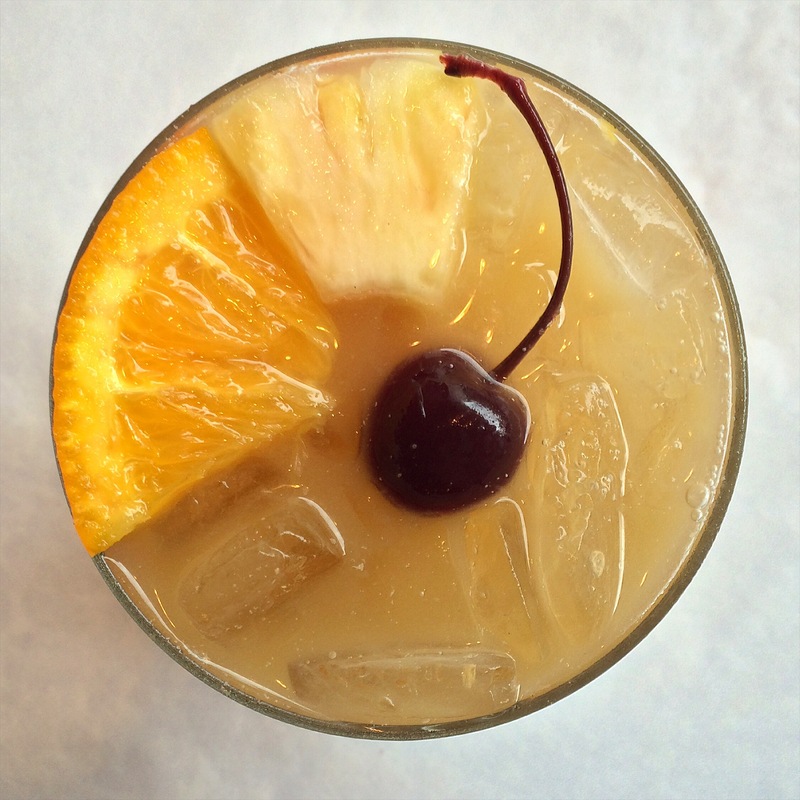 The possibilities are as endless as however you might use iced tea out of a bottle or even flavored tea vodkas — make an alcoholic Arnold Palmer with limoncello or swap in some other flavored liqueur to suit your tastes. It’s Monday night and my work week starts tomorrow, but I’m busy thinking of all the stuff I did this past week. 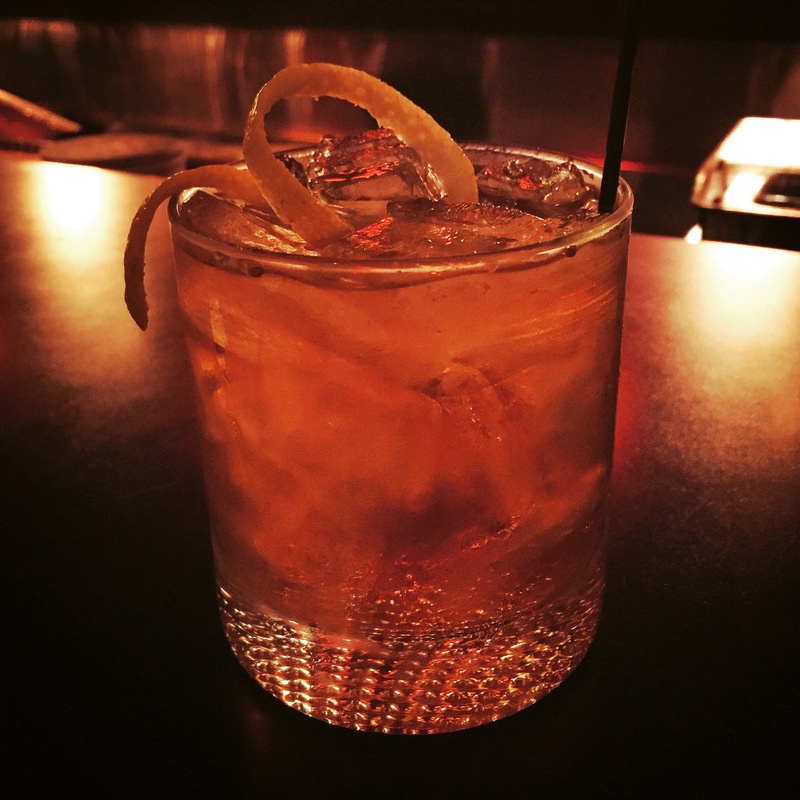 And it just occurred to me that I never really blogged about this past week at all… So, here’s my week of cocktails in quick recap! And on a sad note, also this week, actress Yvonne Craig died.Yvonne Craig played Batgirl in the 1962 Adam West Batman series. 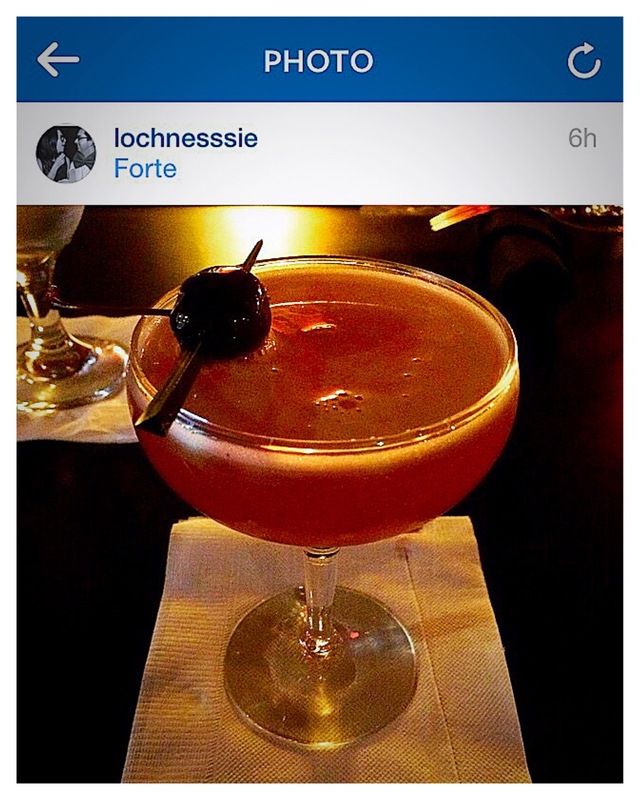 And for those who don’t know, I’m as serious a comic book fan as I am devoted to cocktails. I write a monthly column and co-host a weekly podcast. 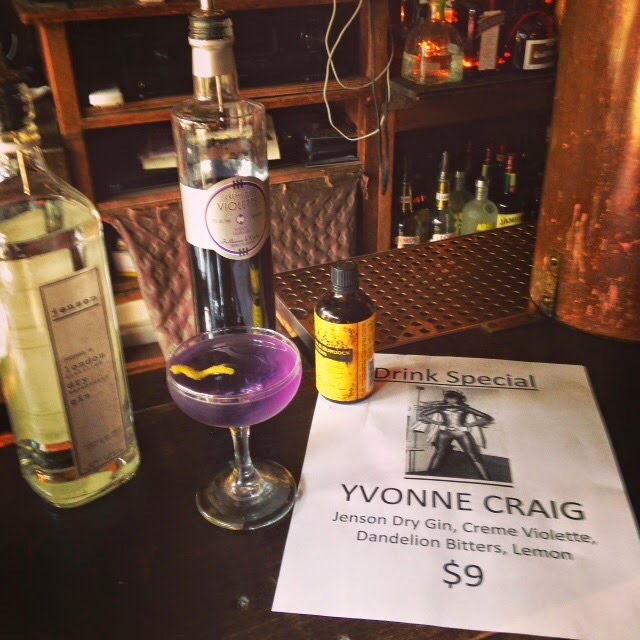 The above photo comes from The Way Station’s blog and isn’t something I shot a pic of, though I’d like to stop and try this drink in honor of Yvonne Craig. 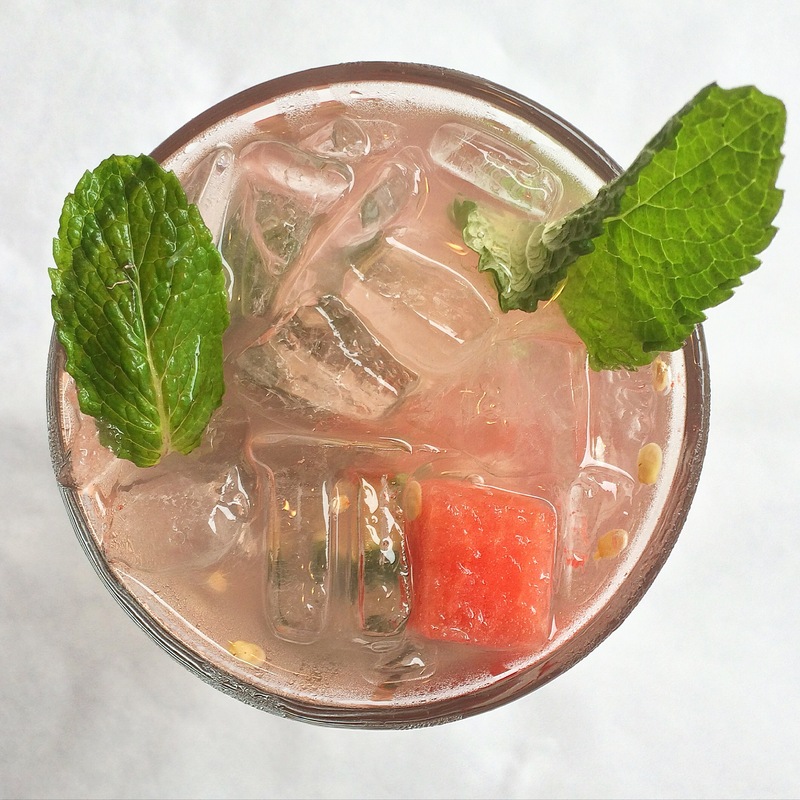 This drink is one I have saved in my Highball app. 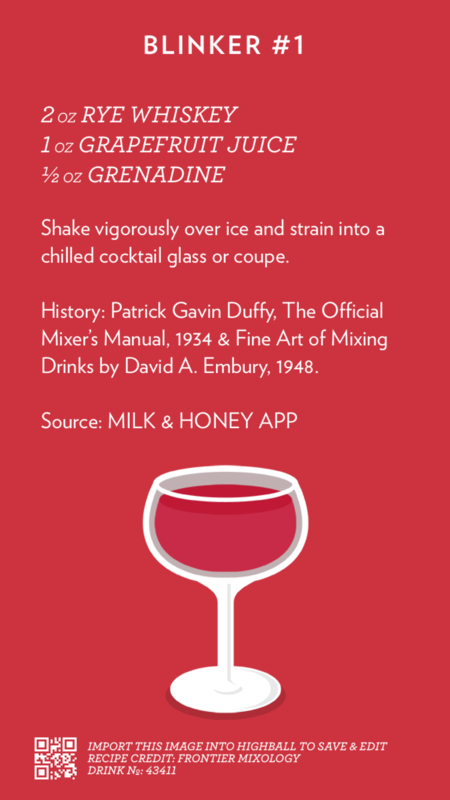 Highball is a really great app for saving cocktail recipes. It’s easy to use, it’s pretty minimalist and it allows you to save and share your recipe cards. When I made the Blinker last night, I didn’t stick exactly to the recipe. I didn’t use grenadine for the drink, as the only grenadine on hand was the typical pre-packaged grenadine full of sugar and preservatives and whatnot. Instead, I used a grenadine-style simple syrup comprised of Pom Pomegranate juice and my restaurant’s housemade simple syrup. It’s not a full-blown grenadine, as it’s missing a few ingredients and flavor components, but it’s a start — and it’s a nice flavored simple syrup to have on hand. Here’s a link with more info about Jeffrey Morgenthaler’s method. This Blue Hawaiian came out a little more sea foam green than I hoped it would, but maybe that was because of the milky-white color of the coconut mixer. 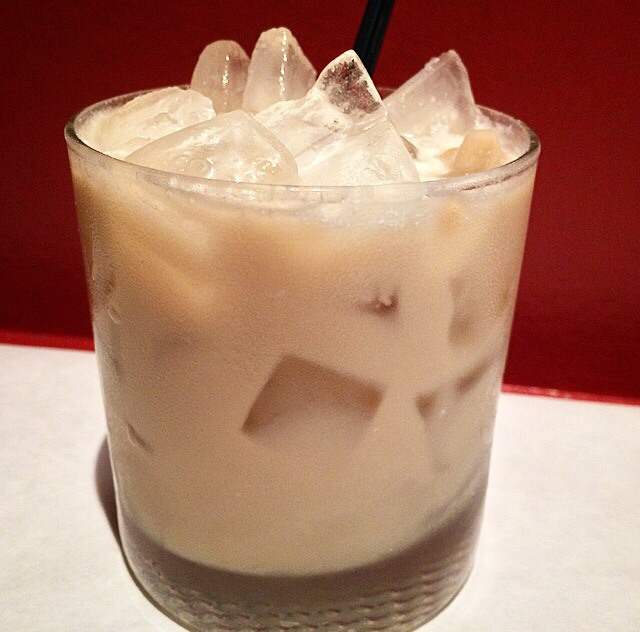 White Hawaiian: This White Hawaiian was a mix of Myers Dark Rum, Kahlua, Stoli Choklat Kokonut, a little heavy cream and my homemade coconut mixer. 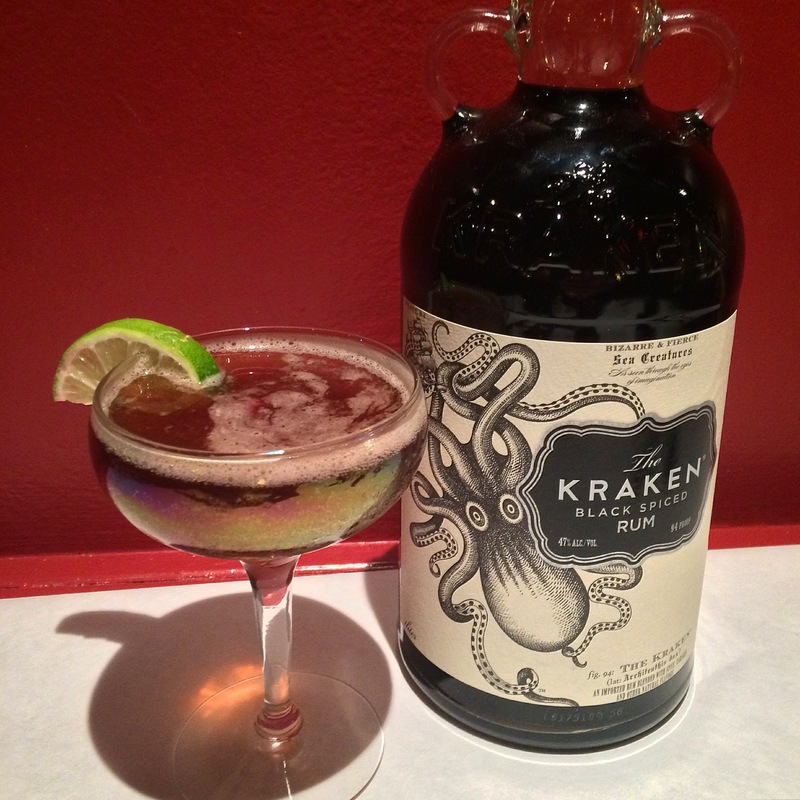 I didn’t have the right rum for an appropriate Painkiller cocktail, so I substituted in Kraken. The mix I settled on was a simple syrup of sorts, but less than the usual 1:1 recipe. 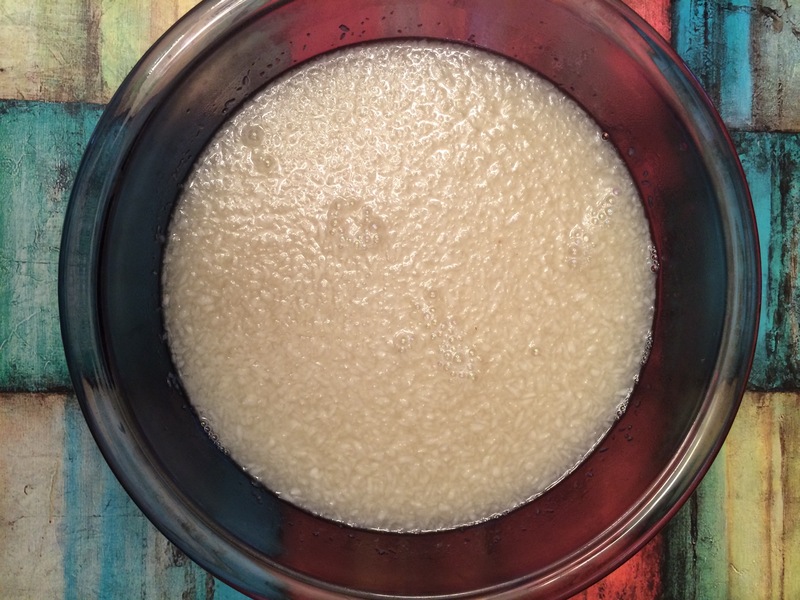 I made the syrup with four parts coconut water and one part coconut milk — and half the amount of sugar it usually takes to make a simple syrup. 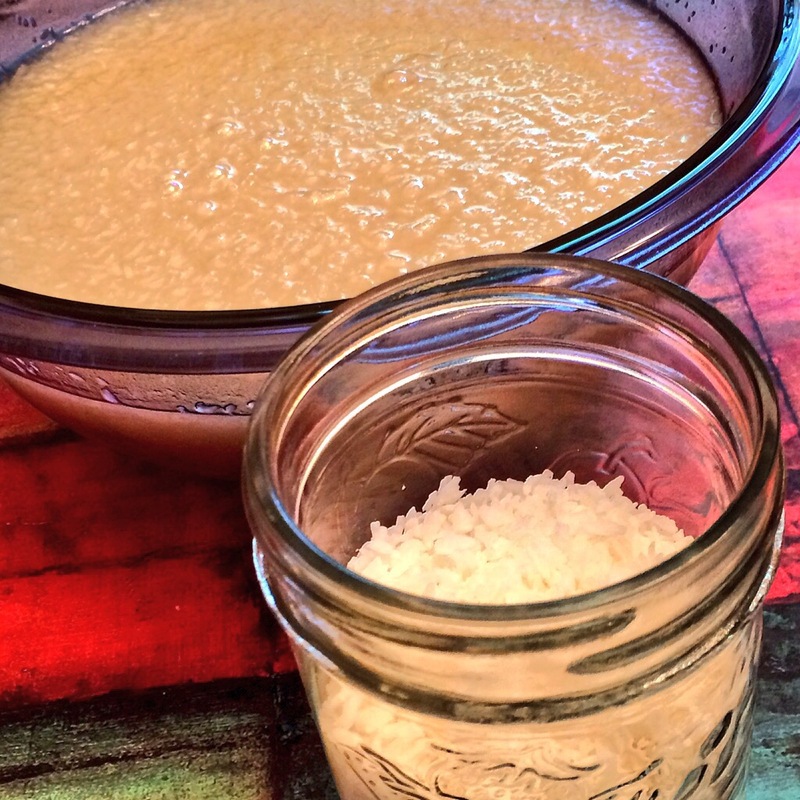 Then, once the syrup had cooled, I blended it with shredded coconut flakes and strained out the solids. I did use sweetened coconut flakes, though I’m sure that using non-sweetened flakes would make a perfectly fine mixer too. I don’t have any set ratios as to what made the perfect final product. 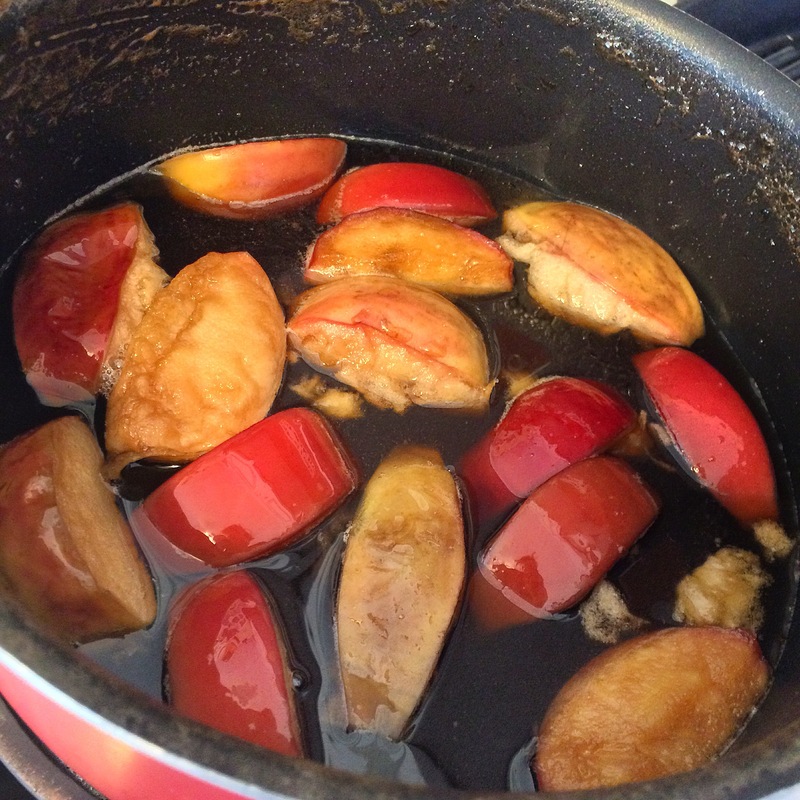 It was just more of a guessing game as I alternately sweetened and diluted the mix. Another day, another coconut experiment! So that’s a mini-mason jar filled with sweetened coconut flakes in the foreground of the above picture. Summer is starting to feel like it’s here and now that Negroni Week is over, my mind has started to wander toward tropical rum drinks. One thing which we don’t have at the bar where I work is a blender. Thats’s never really been a problem though. We are not a beach bar. We’re located in the city of Jamestown. 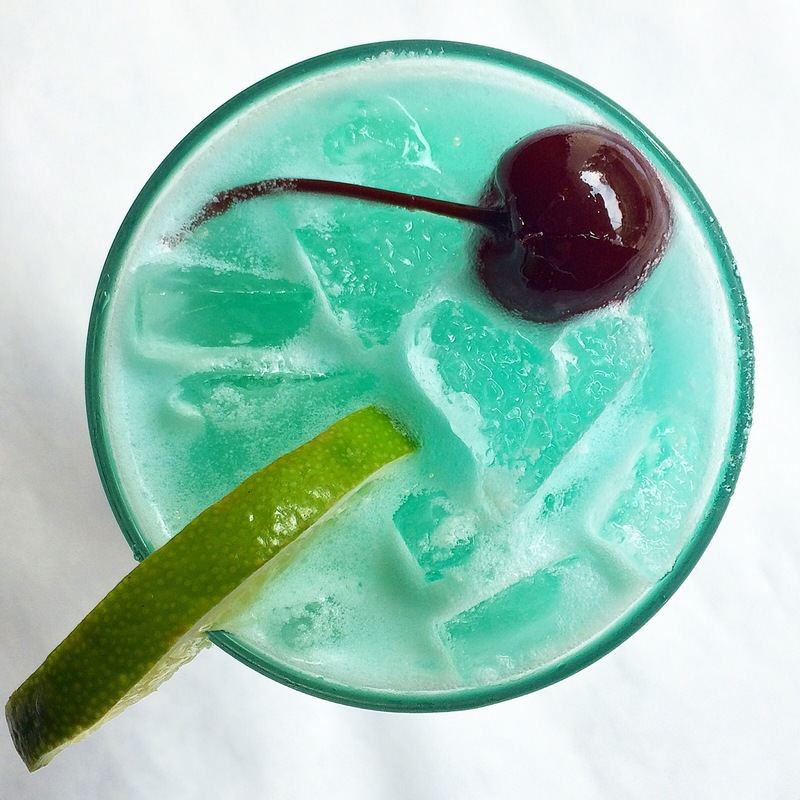 And moreover, all those typical neon-colored cocktails served at beach bars are always so sugary and sticky sweet — which I’m guessing comes from all sorts packaged syrups and canned juices. Don’t get me wrong, I do think there is a proper place and time for all that. One of the best drinks which my wife and I enjoyed on our honeymoon in the Dominican Republic was something called a Miami Vice — which was equal parts piña colada and strawberry daiquiri. It was exactly the sort of thing we wanted at the time, while sitting by the resort pool looking at the ocean. Aside from that there was a lot of straight rum and a local liquor called Mamajuana. In the city though, those sorts of beach drinks aren’t an immediate “go-to” for us or any of our customers. 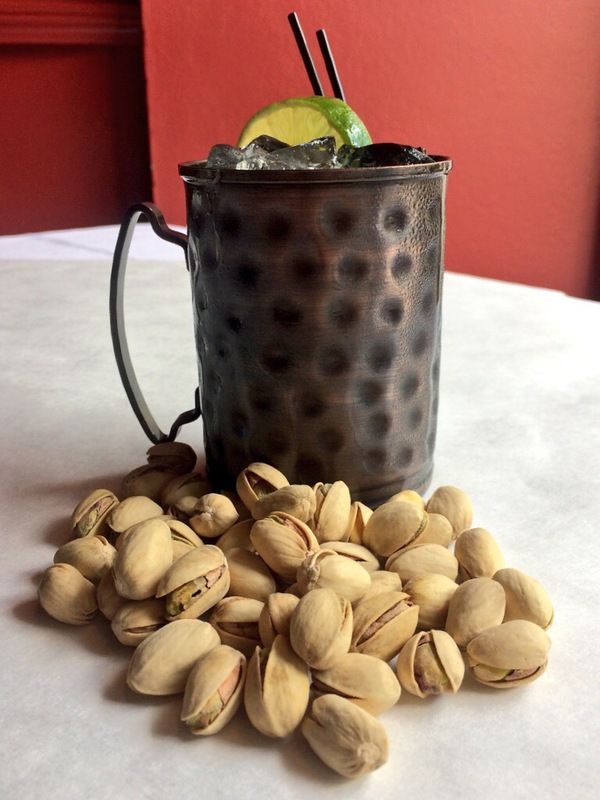 We do serve plenty of rum drinks — like daiquiris, Hurricanes, fake Caipirinhas and Dark and Stormy by the ton. But without a blender, we’ve never seen need to bring in any cream of coconut — which is probably why anytime anyone wants anything with coconut flavor, that flavor always ends up coming from Parrot Bay. So, yeah, that’s where I found myself this past week — with an interest in making tropical drinks that no. 1, aren’t blended and no. 2, don’t use Coco Lopez or any other store-bought syrup or mixer. Add to all this the fact that a recent episode of Best Bars In America showed a bar which used its own house coconut mix — comprised of equal parts coconut milk and coconut water. 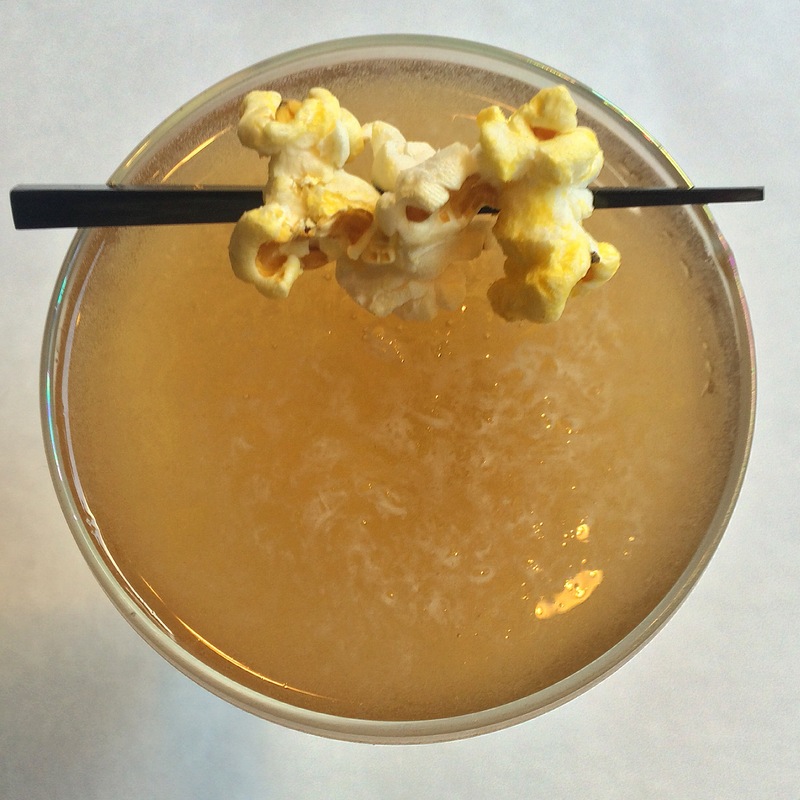 Seeing that half-and-half blend behind a high-end cocktail bar got me thinking about what I could do to incorporate coconut into our drinks (while still only shaking them and not incorporating a blender).